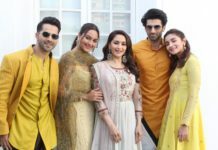 A 101 Guide To Adorn Indo-Western Inspired By Sara Ali Khan - Wedding Affair var admin_url = "https://weddingaffair.co.in/wp-admin/"
Sara Ali Khan is the talk of the town., not only because of the big banner debut she made but because of the graceful public appearances she made while promoting her movies. Most of the outfits she sported during the Kedarnath promotions were Indo-Western. 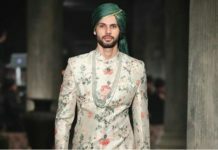 She gave a completely unique edge to the traditional outfits and we created a lookbook for you to rock the looks this season. While everyone is a huge fan of the Co-ord trend Sara flaunted a desi print Co-ord! This cut sleeve ethnic print crop top and checkered flared bottoms! This combination of contrasting prints is rarely seen in Co-ords. However, this was beautifully carried by Sara. We’re a complete fan of Sara’s wardrobe! This causal Indo-Western look can be pulled off easily and it’s a super stylish one for all the youngsters. Sara seems to be carrying the yellow embroidered top with denims effortlessly, so go create a combo and you’re ready to rock your college or a gathering of friends! This pastel blue dhoti outfit is the outfit everyone is rooting for this season. 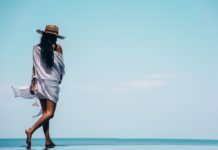 We love how the style quotient has elevated from palazzos to women wearing a garment originally associated with men’s wardrobe. Sara paired her plain dhoti with a peplum style full sleeve top. The attire is simple and elegant. Well, that sounds like an unusual combination of clothing, Sara wore it as if the two were always worn together. Her red saree, a gorgeous red full sleeve blouse with golden embroidery would’ve stolen the show but then popped out a leg! Sara was wearing golden pants under the slit saree and that was one style statement of the season! 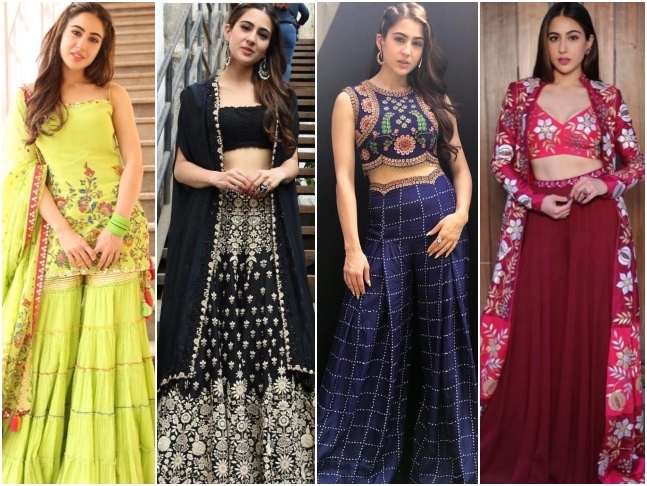 These were our favourite Indo-Western attires sported by Sara Ali Khan this year. This new B-town entrant has contributed much to the trunk of glamour, glitz and talent!